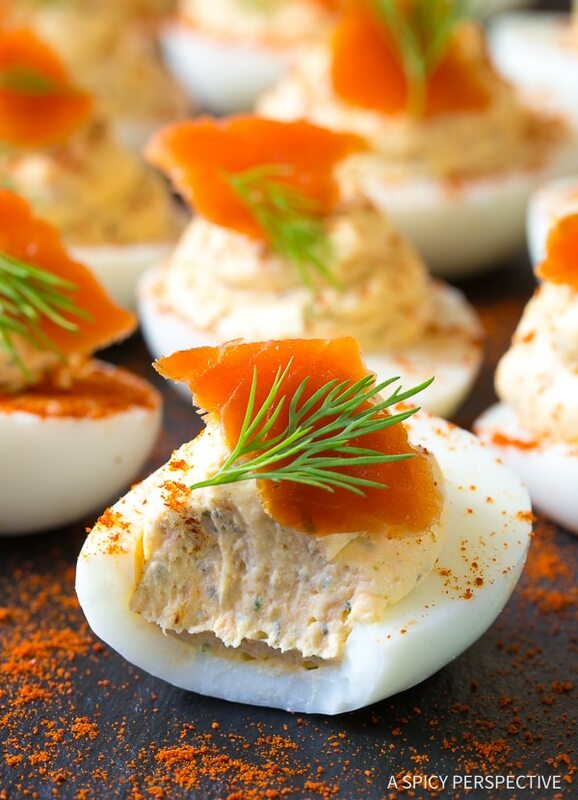 Silky Smoked Salmon Dip Deviled Eggs, all the richness of creamy smoked salmon dip in a hand-held low carb bites! Deviled eggs are one of those foods I find completely irresistible. They’re so soft and rich. So comforting. With a salty finish that is utterly satisfying. And there are so many ways to make them! 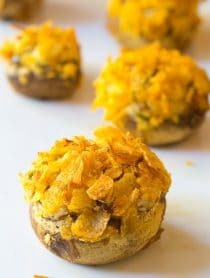 If you’ve been stuck in a deviled egg rut, this spring I challenge you to break out of your shell (get it?) and try a new devilish variation. 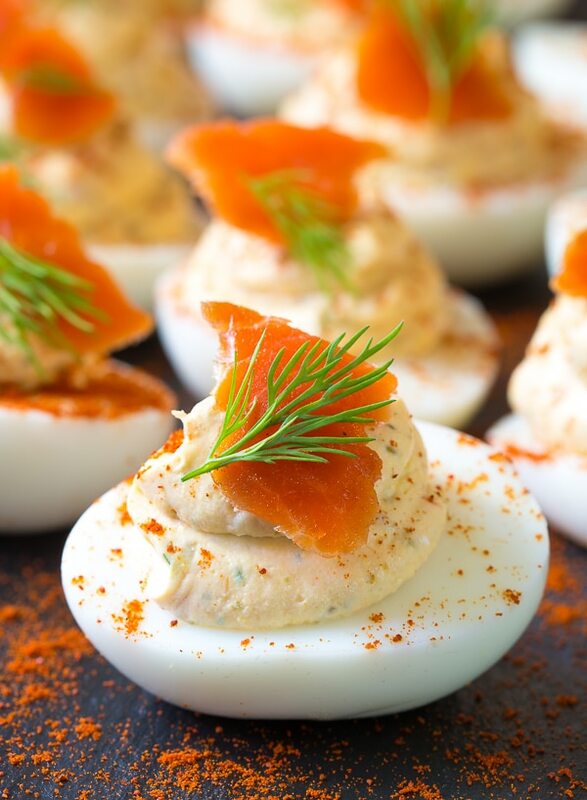 Today’s Smoked Salmon Dip Deviled Eggs combine the dangerously decadent quality of smoked salmon dip with classic deviled eggs. 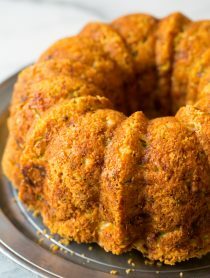 I simply pureed smoked salmon and low fat cream cheese in with the egg yolks and mayonnaise to create a mouthwatering filling. The key to a really good smoked salmon dip, and therefore really good Smoked Salmon Dip Deviled Eggs, is to add bold ingredients that accentuate the salmon, so its flavor doesn’t get lost in the cream cheese and mayonnaise. I like the combination of salty capers, fresh chopped dill, lemon zest, and punchy horseradish. Together, these ingredients make the salmon pop so it is the star of the recipe. Then pipe the filling into the egg white halves and top them with more smoked salmon, fresh dill, and smoked paprika. 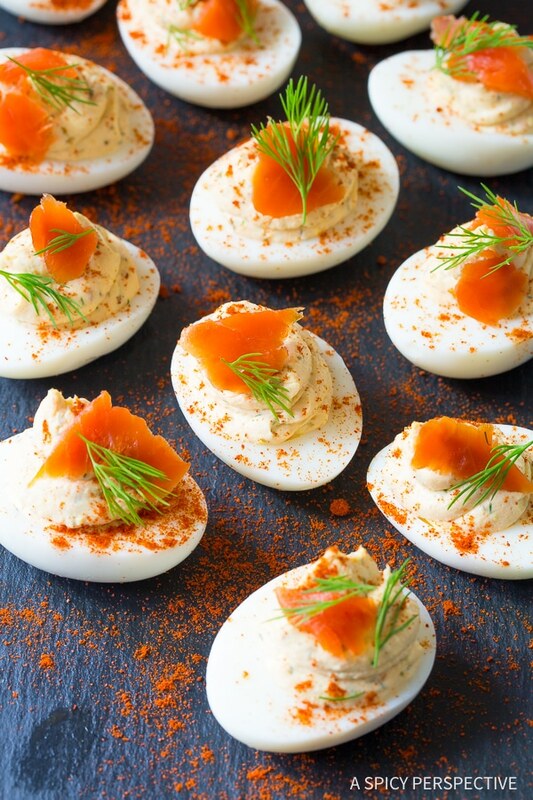 You can chill these Smoked Salmon Dip Deviled Eggs for several days before serving, if needed. And believe it or not, they actually taste better after sitting for a day! It gives all the flavors time to mix and mingle. Smoked Salmon Dip Deviled Eggs Recipe - A simple recipe combining the appeal of creamy smoked salmon dip and classic deviled eggs! Peel and half the hard boiled eggs. Remove the yolks and place them in the food processor. Set the empty halves on a platter. Cut about 1/2 an ounce off the ends of the salmon to save as a garnish. 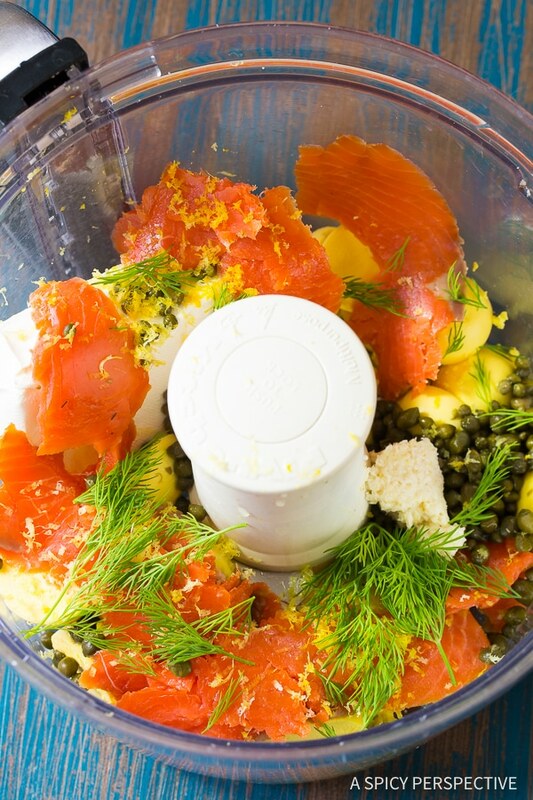 Place the remaining 3 1/2 ounces of smoked salmon in the food processor. Add the cream cheese, mayonnaise, capers, lemon zest, chopped dill, and horseradish. Puree until the mixture in smooth. Scoop the salmon mixture into a large plastic bag. Snip a corner off one end to make a disposable piping bag. Pipe the filling into the center of each egg white, piling it high. Sprinkle each egg with smoked paprika. Place a small piece of smoked salmon on top of each egg, followed by a small sprig of dill. Cover and chill until ready to serve.